The Marcellus Shale Natural Gas is just what happens to be on the agenda at this time. 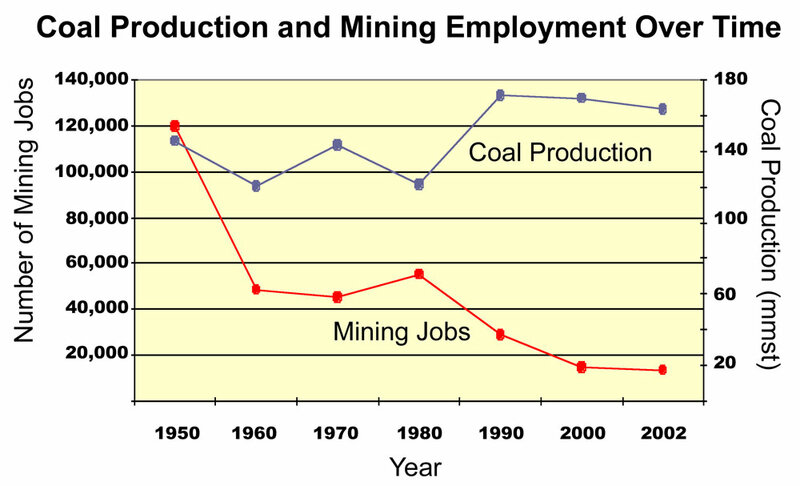 It could just as easily been Mountaintop removal Coal mining. It is clear from the past and present behavior of the Energy corporations that destroying the environment is what they do. As you can see, They will not stop unless they are forced to stop (either by legislation or by lack of sufficient profit margin). It is like watching Godzilla in the old movies. iLoveMountains.org is the product of 7 local, state, and regional organizations across Appalachia that are working together to end mountaintop removal and create a prosperous future for the region. Click here to read more about iLoveMountains.org and the organizations that created it. 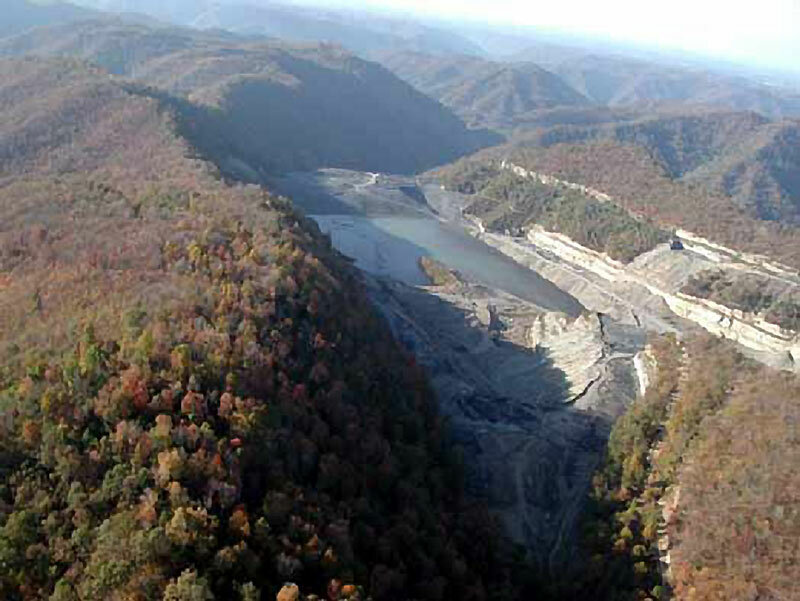 How does mountaintop removal affect families and communities? 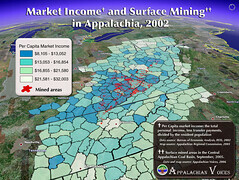 How does mountaintop removal affect the economy? 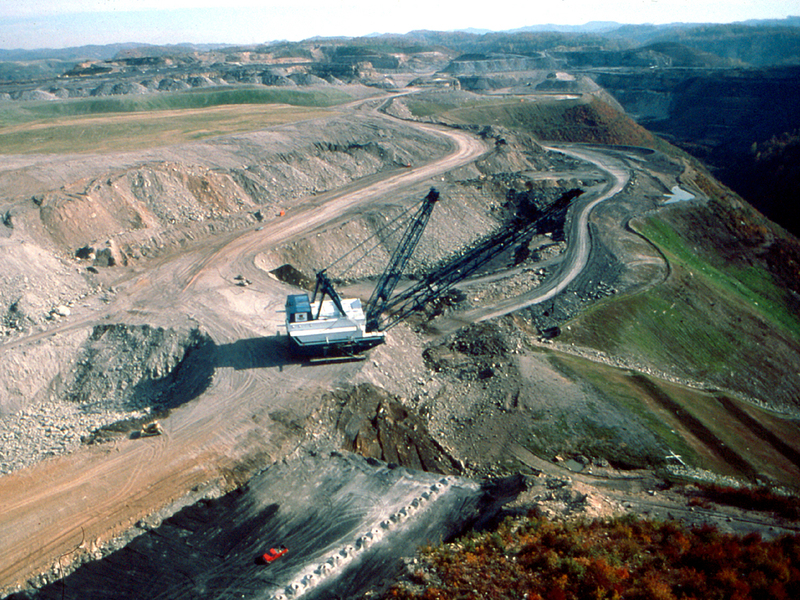 Is mountaintop removal important to America’s energy future? 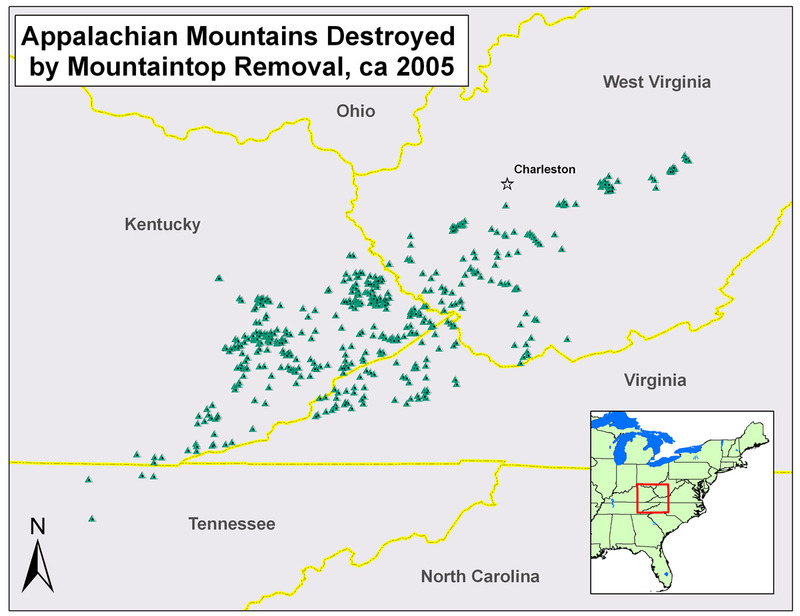 What can the US government do to stop mountaintop removal? What are individual States doing to break their connection to mountaintop removal? 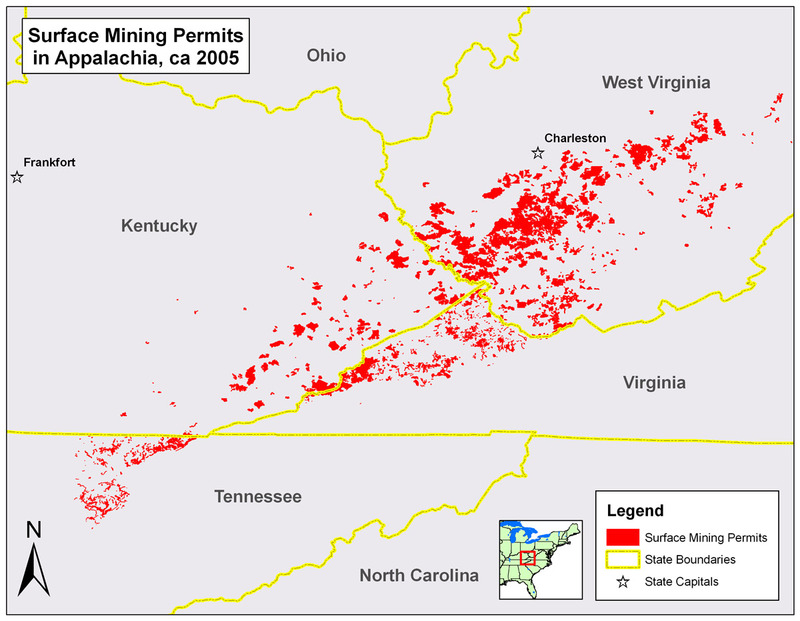 There are currently no federal or state agencies tracking the overall extent or cumulative impacts of mountaintop removal coal mining, and so no maps of the actual extent are currently available. 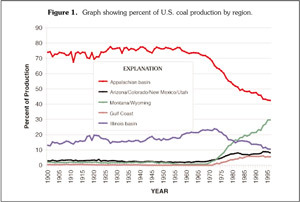 Figures from the multi-agency environmental impact statement that was completed in 2003 estimated that more than 700,000 acres in West Virginia, Virginia, Kentucky and Tennessee had been impacted, but were based on permit maps provided by coal companies. Permit maps, according to studies by the West Virginia Technical Application Geographic Information System, can underestimate the extent of valley fills by as much as 40%. The maps below were produced by Appalachian Voices in August of 2006. 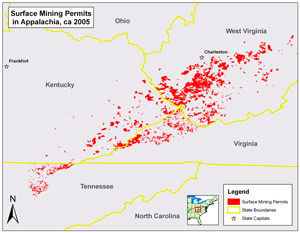 The map to the left identifies more than 450 mountains and summits in Appalachia that have been destroyed by mountaintop removal coal mining (as defined by OSM in their 1985 EIS), and the map to the right shows most of the areas permitted for surface mining in Appalachia (note: these data are questionable, both because the permit maps provided by mining companies are unreliable and not all data are available from the state agencies that regulate the mining). BLASTING — Families and communities near mountaintop removal sites are forced to contend with continual blasting from mining operations that can take place up to 300 feet from their homes and operate 24 hours a day. The impact of blasting not only makes life all but unlivable in nearby homes it also frequently cracks wells and foundations. 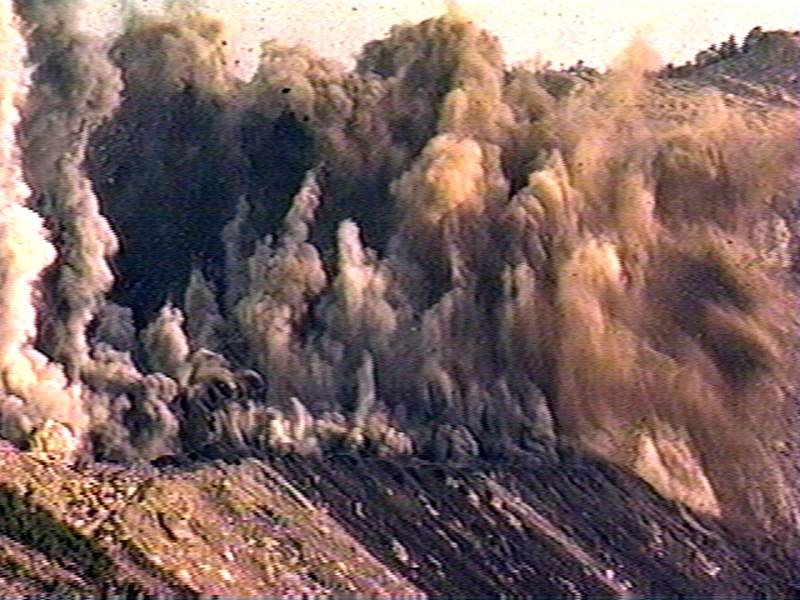 Blasting can also send boulders flying hundreds of yards into roads and homes. SLUDGE DAMS — Sludge dams represent the greatest threat to nearby communities of any of the impacts of coal mining. Impoundments are notoriously leaky, contaminating drinking water supplies in many communities, and are also known to fail completely. 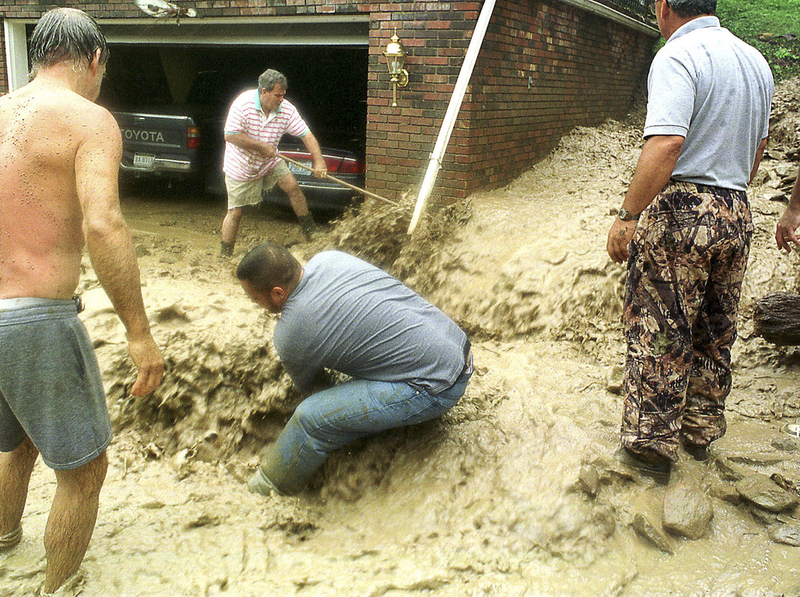 A sludge dam breach in Martin County, KY, in 2000, sent more than 300 million gallons of toxic coal sludge into tributaries of the Big Sandy, causing what the EPA called, “The biggest environmental disaster ever east of the Mississippi.” . 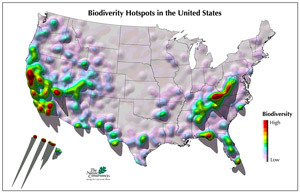 800+ square miles of mountains are estimated to be already destroyed. (this is equal to a one-quarter mile wide swath of destruction from New York to San Francisco - it is also significantly underestimated). Mountaintop removal is a mining technique designed, from the very start, to take the labor force out of the mining operation. According to the bureau of labor statistics, in the early 1950’s there were between 125,000 and 145,000 miners employed in West Virginia; in 2004 there were just over 16,000. 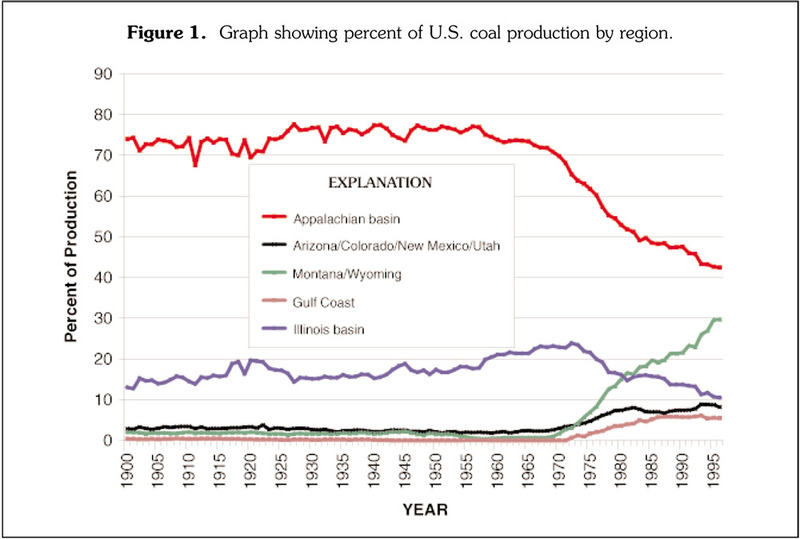 During that time, coal production increased. 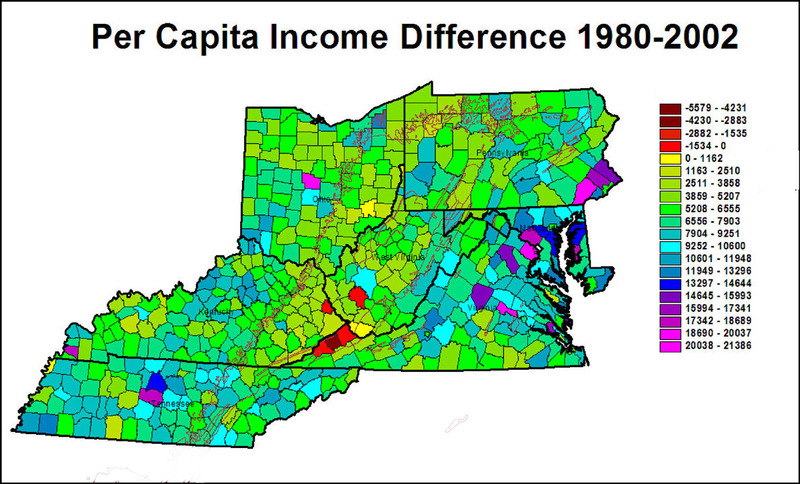 In addition, the coal-bearing counties of Appalachia are some of the poorest in the nation, despite the fact that some of the greatest wealth is being extracted from them. 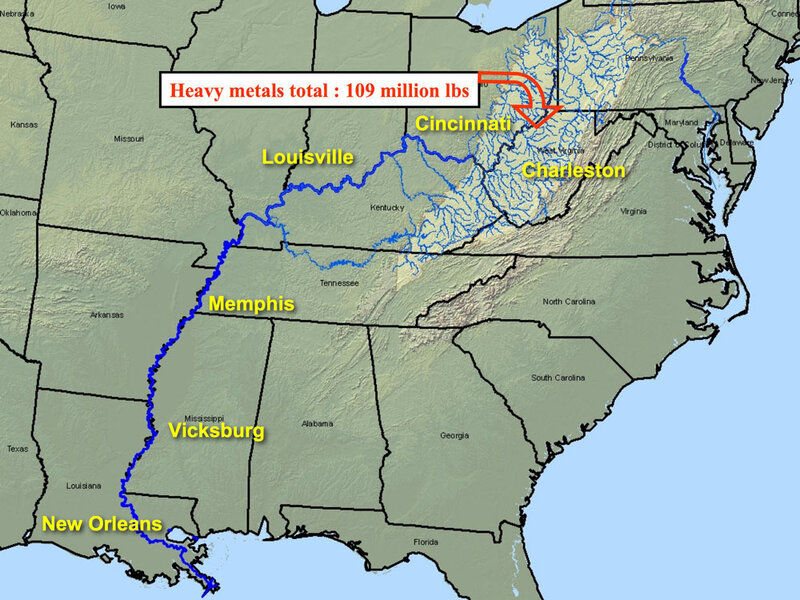 How does mountaintop removal affect America’s energy future? “already have peaked in production and the remaining coal is deeper (>1,000 ft), thinner (<3.5 ft), and (or) contains environmentally less desirable medium-to-high ash yields and sulfur contents." From: Leslie F. Ruppert; USGS Professional Paper 1625 - C; 2000 RESOURCE ASSESSMENT OF SELECTED COAL BEDS AND ZONES IN THE NORTHER AND CENTRAL APPALACHIAN BASIN COAL REGIONS. In short, we are destroying one of America’s national treasures for a small fraction of our energy supply that will last for only a few decades. STATE CONNECTIONS - This map shows some of the connections between coal-fired power plants and the mountaintop removal mines that supply them with coal. To see a map of the states who are taking action, download this Google Earth file. 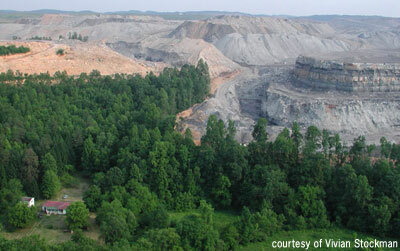 Thank you adding your voice to the Movement to End Mountaintop Removal Coal Mining. 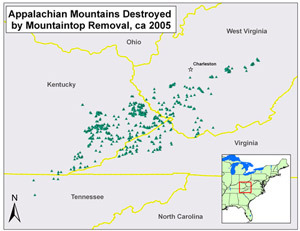 I wanted to personally thank you for signing up at iLoveMountains.org -- and for becoming an important part of the movement to end to the destructive practice of mountaintop removal coal mining. This terrible form of coal mining -- in which entire mountains are literally blown up -- is happening on a scale that is almost unimaginable, with more than 470 mountains already destroyed in America. 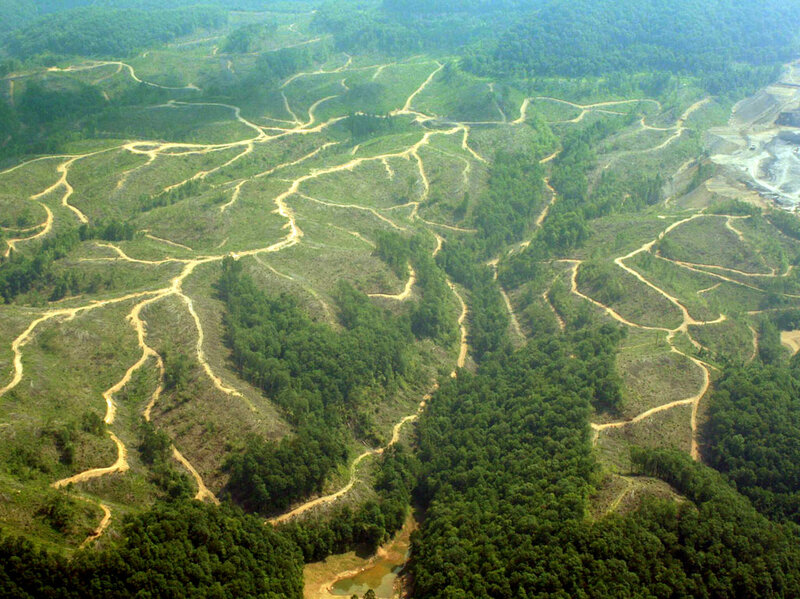 But the truth is, most people don't even know that mountaintop removal is happening. That's why I'd like to ask you to join me in helping to get the word out. I'd also like to encourage you and your friends to take a moment to explore the rest of iLoveMountains.org, if you haven't already done so. 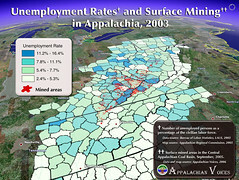 On the site, you can watch videos about mountaintop removal featuring the people of Appalachia. 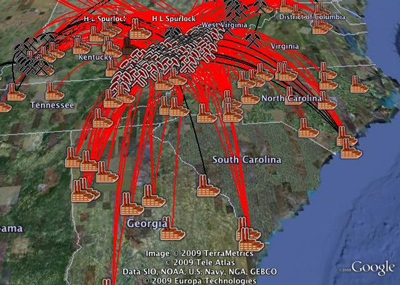 You can also explore "The National Memorial for the Mountains" - an interactive satellite map that shows each of the more than 470 mountains already destroyed by this mining practice-- and visit "My Connections" -- the new webtool that lets you see how your electricity usage is connected to mountaintop removal. Please join me in taking action today. 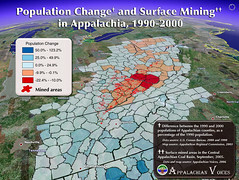 Mountaintop removal mining is radically changing the landscape and culture of Appalachia. 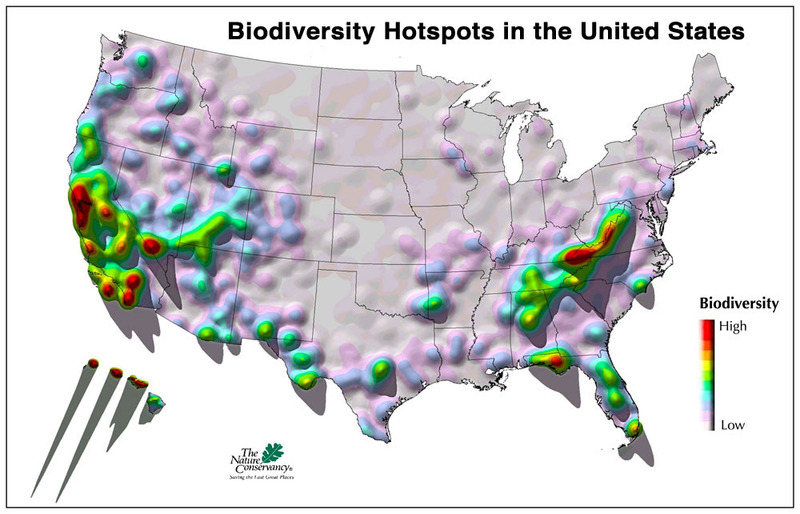 If we fail to act, these national treasures could be destroyed within our lifetimes. Thank you for joining with me and helping spread the word about our efforts to save the mountains. 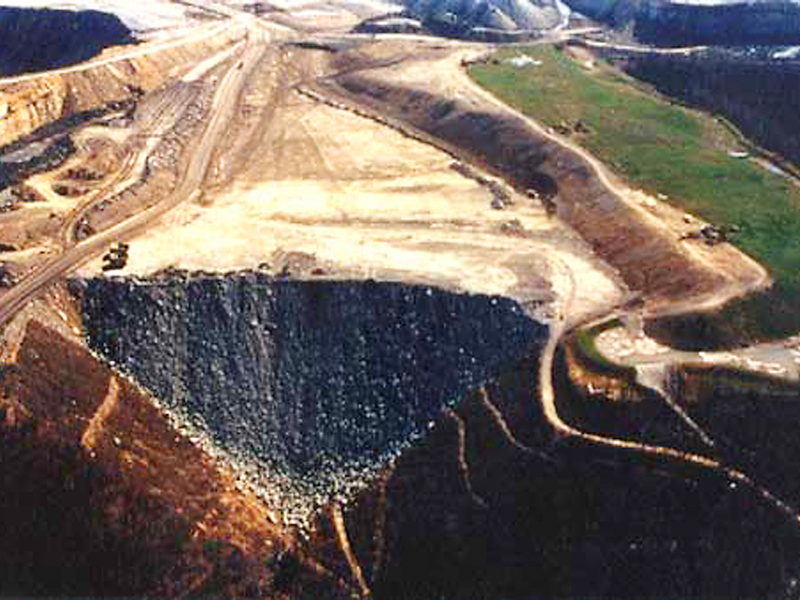 There seems to be no greater example of the total disregard of the Earth, the Water, the People and the Eco-System for paper money profits than the Mountaintop Removal Coal industry. It is a clear example, but most Industries act as if it is justifiable to contaminate and let the future generations clean up the mess... When did this behavior become acceptable? A better question would be.. Why is this behavior considered acceptable? The only logical answer is that that the people profiting from the corporations live somewhere else(and they are selfish and possibly sociopathic (They feel No Guilt). Any industry that is not sustainable is not healthy and is engaging in pure exploitation. Generally, History eventually judges exploitative behavior as Wrong and / or Illegal (Even if it was technically legal at the time of the crime). This is no different. Is this sustainable? Did the Corporation pay fair market value for the resources / commodities? Was this a just business model? If the answer is always "No" then the behavior should be judged for what it is... Wrong. Laws are what determine what is considered Right or Wrong in a society. In a Democracy, if we allow this type of behavior to legally proceed, then a majority of the people must not feel that it is wrong. I like to think that the majority of my fellow man are decent healthy people. But that may not be true.